The Kart Kingdom Summer Fun Event ran from June 29 - July 9, giving our young users a chance to launch some digital fireworks and try on some fun summer-themed items. Be on the lookout this August for a special Ready Jet Go event and an update bringing Kart Kingdom events to the Kart Kingdom App. The PBS KIDS Games App version 1.6.0 was released on all platforms on July 17, bringing some minor design updates and performance enhancements. The Games App also has been busy promoting tune-in for the PBS KIDS Summer of Adventure, highlighting major show events. Be on the lookout for new Odd Squad and Sesame Street games launching in the app later this summer! The PBS KIDS Video App launched Live TV on the PBS KIDS Video App for Roku on July 5. LIVE TV is also planned to launch on Apple TV later this summer. On the content side, live streams of both the Wild Kratts’ movies and Wild Alaska Live will be on the PBS KIDS Youtube and Facebook channels on July 23, 24, and 30th. Wild Kratts Alaska: Hero’s Journey premiered on all PBS KIDS Video platforms on Monday, July 24. New PBS LearningMedia content added this June includes new lesson plans for the World Explorers Collection, including Geography Activities that link to Google Earth Voyager to help students trace the journey of these explorers around the world. We also plan to add lots of new content from the Smithsonian Air & Space Museum and the Smithsonian Natural History Museum. Check out the Natural History Museum’s Science How video on Forensic Anthropology for a sneak peek! There have been a number of small updates to SpringRoll including a refactored Jenkins build process, display of Branch commit name in SpringRoll Connect, and the addition of functionality to archive old games in SpringRoll Connect. There is a large-scale update in the works that'll deprecate some of the game specific functionality and focus more on the publication and distribution of games. We've also created an efficient generic wrapper template for multiple SpringRoll games in a single app. During the process of readying research study initiatives for MSU and UCLA, we've created the capability for Event Spec overrides which allow researchers to insert bespoke field information into game spec event data to allow for identification of specific study gameplay data vs. general audience gameplay. 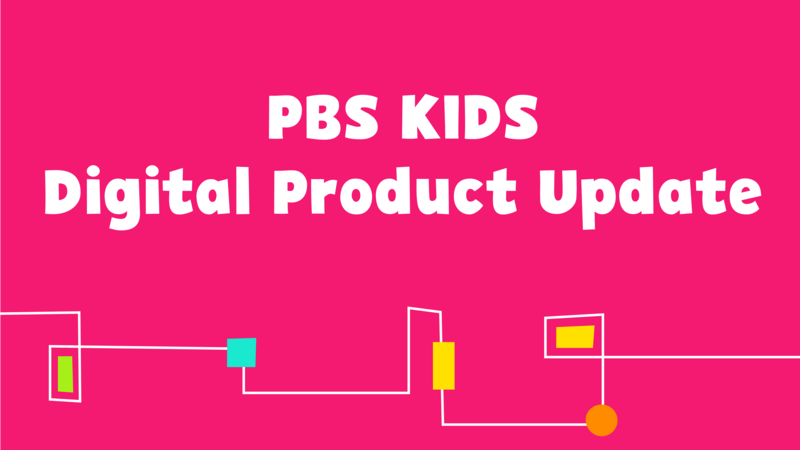 PBS KIDS is working with PRIVO to implement a new login and sign-up system to allow younger kids to navigate to and create user IDs along with other initiatives for personalized and adaptive experiences.